The new Sony Alpha NEX-5 with 18-55mm f/3.5-5.6 and 16mm f/2.8. 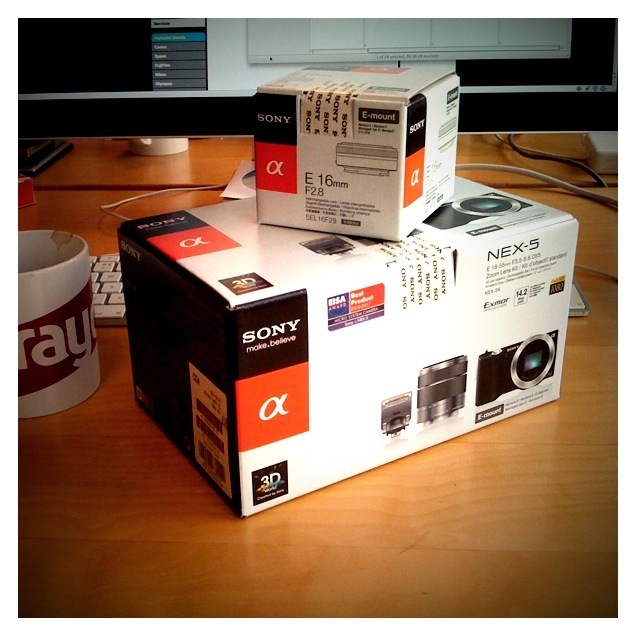 A little delivery from Sony that will be used to shoot a short film I’m working on. More details in the coming weeks.